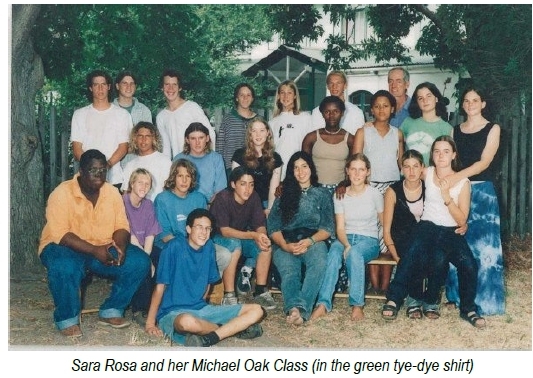 I attended Michael Oak from age 14 between 1997 and 1999, and then moved to Constantia Waldorf to complete my schooling. I matriculated in 2002. I came to Michael Oak from a large girl’s school where the emphasis was on academic and sporting achievement. I quickly realised that I wasn’t quite the kind of girl they were looking for, and was never going to stand up in assembly wearing a prefect badge or excel at hockey. There was a lot of pressure and that actually had the effect of making me very unmotivated about work. I failed two subjects that year, and just squeaked through Std 6 by cramming the year’s music syllabus into my head the night before the exam. Socially I was under a lot of pressure as well, in those terrible teenage years where you suspect very deeply that you are inadequate but don’t know how to fix it. Coming into the Waldorf system at Michael Oak and later Constantia Waldorf felt like a very huge relief. Suddenly, the pressure was off. I have always loved reading but didn’t dare to show it in case I was labelled a nerd. At Michael Oak I could loll around the playground, reading stories and even poetry. It was a great freedom to be myself, and be appreciated for that. I started to feel more and more comfortable in my own skin, made close friends who are still friends today, and also got in touch with my intellectual abilities in a way that was encouraging and exciting, rather than forced. When I started, we had Mr Spencer as a Main Lesson teacher. He would take us running along the station platform every morning to wake up, and on outings into the city to study architecture. He was the first example I’d had in school of someone who loved learning and knowledge, and that was infectious. I also loved doing art again, and drama, and many things I had left behind. Mrs Mousely was very encouraging of my writing which I will always be grateful for. I think that Waldorf education was really important for me because it stopped me putting myself in a box and deciding I wasn’t one of those “achiever” people and so therefore would rather not even try. That was the way I had been going, and it would have really limited what I could do later. Going to Waldorf meant that I was able to keep lots of possibilities open, and explore what I liked doing. That was very motivating, and when I graduated it was with good grades, which meant I could get into university. I also really appreciated that we didn’t spend the whole of high school dreading the matric exams and working towards that as an only goal. We did so much more than that, and then when the time came to prepare for the exam the formidable and wonderful Mrs Wessels helped us get into gear and we had enough time to prepare. When I got to university I felt much better prepared to think independently and voice questions and opinions having been through the Waldorf system. Now as a teacher in university classrooms myself I often wish that my students had had some of the same training, the first years are quiet as mice and often so orientated towards grades and results rather than the process of learning itself. 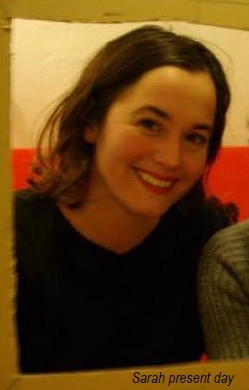 I had a gap year, working in a dingy London pub and then travelling around Spain with Jess Davson, studying Spanish at a language school, walking the Camino de Santiago and spending time with my father’s family who live there. I then came back to Cape Town where I did an undergraduate degree at the University of Cape Town in Drama and Anthropology. That was an unusual combination of subjects, but I found out later that there was a field called performance studies which was based on exactly that combination of interests. After my BA I participated in the African Programme in Museum and Heritage Studies at UCT/UWC and Robben Island. Following that I got a scholarship to do a Masters in performance studies in Finland and Amsterdam as part of an Erasmus Mundus programme.